The 13th edition (September 19-22, 2018) of the Reeperbahn Festival again brought new record numbers of visitors to Hamburg. Around 5.500 music industry professionals and media representatives from over 56 countries and 45.000 concertgoers enjoyed more than 900 events spanning a range of genres in locations around Hamburg’s Reeperbahn. Again, an Austrian delegation with an entourage of nine local bands and three international ones and more than 80 industry professionals participated at the German festival. 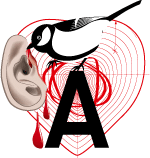 To celebrate the festival kick-off on Wednesday, September 19, the Austrian delegation and Austrian Music Export, in cooperation with 917xfm and Waves Vienna, invited festival visitors to attend “Austrian Heartbeats” at the famous club Indra. Thanks to an alliance with the Hamburg based agency Factory 92, international exchange was front and center: A special networking session with the Nordic countries as well as a strong German presence during the traditional Austrian reception allowed local delegates to strengthen their network and reach beyond their home markets. More than 300 guests enjoyed the shows by Dives, Tents, Cari Cari and At Pavillon as well as local treats and specialities. Cari Cari played at total of 5 shows in Hamburg, including a live radio session at NDR Blue Backstage. At Pavillon also got hardly any rest, performing sessions for N-JOY, Hamburger Morgenpost, SofaConcerts and Nothing But Hope And Passion. The following day, Futuresfuture & Seayou Records hosted a joint label night at Nochtwache: Naked Cameo, Flut, The Crispies, Mister Me and Jugo Ürdens & EINFACHSO played packed shows and could even welcome local celebrities in the audience. On the third festival day, Styrian band YUKNO bewitched a packed Indra with their dark electro-pop songs, while Austro-British punk band Petrol Girls performed a smashing set at Grüner Jäger, a blast of urgent punk with intense personal and yet highly political lyrics. Friday also saw the presentation of the newly founded Music Moves Europe Talent Awards (MMETA). From Austria, three nominees were presented in Hamburg: Avec, Naked Cameo and Stelartronic. The awards are presented by ESNS and Reeperbahn Festival, in cooperation with Yourope, the European Broadcasting Union (EBU), IMPALA, International Music Managers Forum (IMMF), Liveurope, Live DMA, European Music Exporters Exchange (EMEE) and Digital Music Europe (DME). During the day, the Reeperbahn Festival offered lots of opportunities to discover new music worlds and establish international contacts at panels, workshops and networking events. 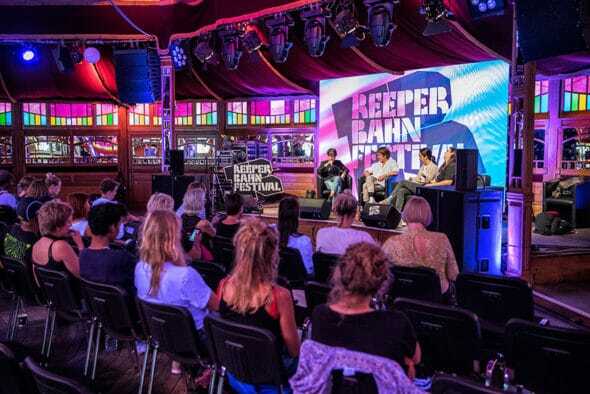 Among others, the Reeperbahn Festival Conference invited Ebru Düzgün (Ebow) and Marlene Bürgerkurator Engel to discuss “Diversity In The Arts And Pop Culture”. Thomas Heher (Waves Vienna) talked about showcase festivals and the INES programme with the partner festivals Liverpool Sound City, Sonic Visions and Linecheck. Andreas Mahringer (Sendmate) presented actionable ways artists, labels and their teams can use messaging and chat to engage and build audiences of fans, while Matthias Röder (Karajan Institute) focused on examples of how the latest technologies in AI are applied in the music world today. 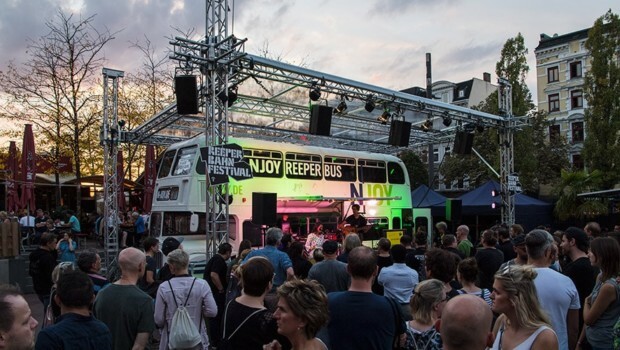 Reeperbahn Festival 2019 will take place from 18 to 21September with Australia as the focus country partner. Early-bird tickets for the festival and the conference are already available now.